Soccer positions are generally divided between offensive ones and their defensive counterparts. Traditionally, defenders have defended while the attackers attacked. But in the modern game, players should be comfortable in a number of different playing styles and fulfilling a variety of roles. While some soccer positions such as the goalkeeper are solely dedicated to preventing the opposition from scoring, most defenders now have a responsibility to attack too. Just as most attackers are expected to defend. This continuing evolution of tactics and formations is one of the joys of the beautiful game. In this article, we’ll look at each player’s position and break down what is expected from them in terms of their responsibilities and what they should aim to bring to the game. Notable Goalkeepers: Manuel Neuer, Gianluigi Buffon, David De Gea, and Gordon Banks. The goalkeeper is the last line of defence and, as the only player on the pitch allowed to handle the ball, it is their job to prevent the opposition from scoring. It doesn’t matter how they do it, just as long as the ball doesn’t cross the line! Goalkeepers must have great reflexes, quick instincts, and be very agile so that they can fling themselves at the ball and stop shots from going in. At the end of the day goalkeepers are judged based on their clean sheets. 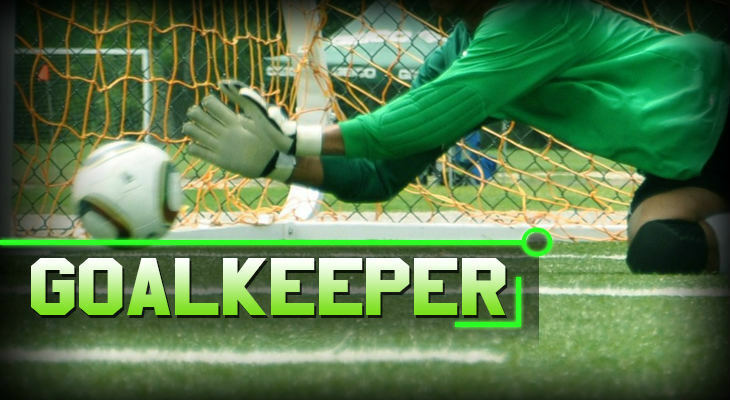 It is very hard for small keepers to make it in the professional game as the position requires the player to cover as much of the surface area of the goal as possible. They also need to take control of the box and confidently claim crosses into it from out wide by either catching the ball of punching it away. The goalkeeper must work in tandem with the defence in front of them to close down the opposition strikers’ space and limit their goalscoring opportunities. By controlling the box and directing defenders, the goalkeeper must alert others to any dangerous spaces and opposition opportunities that may arise. They must therefore have good communication skills and inject a sense of calm into the defence by being cool under pressure. If the defence has pushed up to the halfway line to play the offside trap, the goalkeeper needs to push further up and be ready to sprint forwards to clear any dangerous balls in behind them. If faced with a one-on-one, the goalkeeper needs to close down the striker’s space and force them into making an early decision to either shoot or take the ball around them. This will slow the striker down and give the defence more time to get back in position and help them out. Modern goalkeepers also need to be good with the ball at their feet. For the top teams, this skill is crucial. The keeper is expected to help keep possession within the team. Their distribution can start attacks so they need to be good at playing accurate long balls into the strikers’ feet and have a good throw on them as well. Teams may line up in a variety of formations which will determine how defensive or attack-minded the team is. 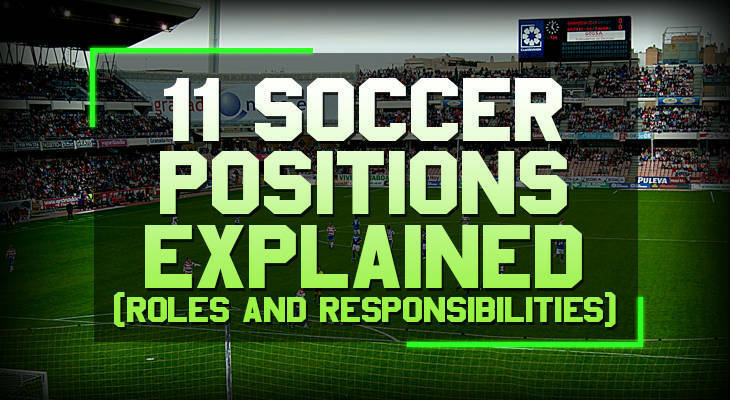 Let’s now look at the individual defensive soccer positions to see what is expected from each of them and how the modern game demands more from the various defensive positions than in the past. Notable Centrebacks: Sergio Ramos, Giorgio Chiellini, Thiago Silva, and Fabio Cannavaro. When done well, defending is an art to watch and the players listed above all certainly made a name for themselves through their whole-hearted commitment to preserving their teams’ clean sheets. 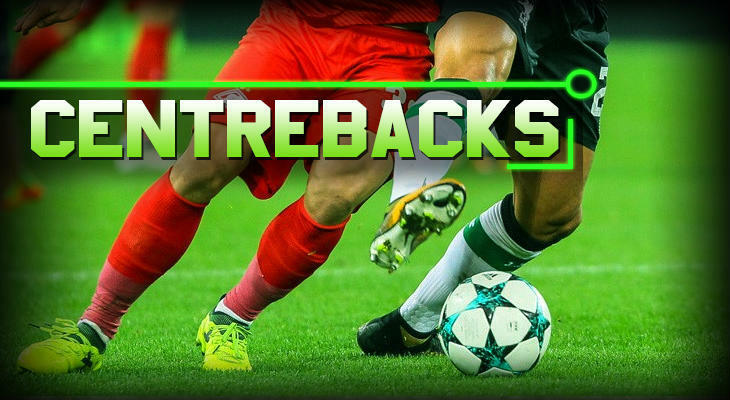 The centrebacks are the most defensive-minded outfield soccer positions and it is their job to protect the goalkeeper and put their bodies on the line. Brave and physically imposing — these players never make it easy for the opposition’s strikers. By sticking close to the opposition’s strikers, the centreback’s goal is to hassle, annoy, and put in strong tackles to put them off and limit their goalscoring opportunities. Whether it’s subtly pulling their shirt, nudging them off balance, or putting in some rough challenges, the centrebacks must win their duels for the team to succeed. When one centreback engages the striker, the other should drop off a bit and cover them. They need to work well as a unit and communicate clearly with the goalkeeper behind them and the other outfield players, calling back the midfielders when necessary. It’s important that they’re good in the air and should win most of their aerial battles. This aerial prowess also comes in handy in the opposition’s box as most centrebacks push up when the team has a corner. 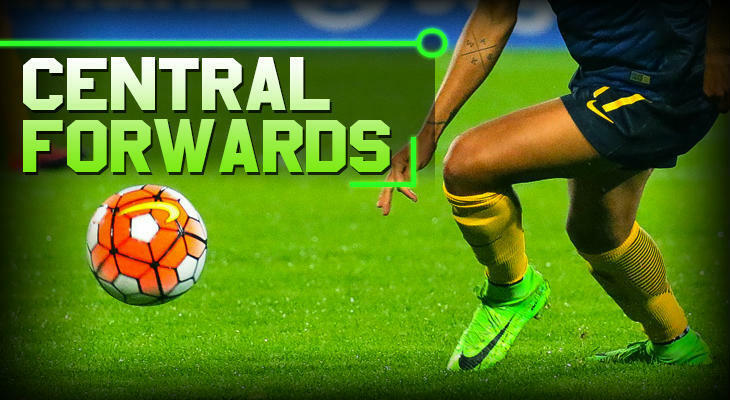 While centrebacks used to simply lump the ball upfield, the modern-day centreback plays a key role in keeping the ball and passing it forwards or to the sides. This is why they need to have a decent level of technical skills and be cool under pressure when the opposition’s strikers press them and try and force them into mistakes. Notable Sweepers: Franz Beckenbauer, Ronald Koeman, Fernando Hierro, and David Luiz. In a three-man defence, one centreback often acts as a ‘sweeper’. While they have the same defensive responsibilities, they also instigate attacks with their great passing skills. With three at the back, it also falls at times to the centrebacks and sweeper to push up field with the ball and break past the opponent’s strikers. They need to be calm and have a good understanding of when to press forward and when to drop off and provide passing angles to their teammates. The sweeper’s great passing skills help to retain possession and move the ball forwards. The sweeper must command the defence and should have great leadership skills to marshal their troops. As the name indicates, it is often they who drop off behind the centrebacks and sweep up any balls that come through. They also provide cover to the ball-winning centrebacks whose job it is to battle the opposition’s strikers. If possible, they can also attempt to zip in front of the striker and intercept the ball before it arrives in the dangerous area in front of the penalty box. As the sweeper is often a free man in the centre of defence, they have quite a deal of leeway in terms of where they end up. But they must be able to quickly regain their position if the team loses possession further up the pitch. Less popular in the modern game, a smart sweeper is a joy to watch. Notable Fullbacks: Javier Zanetti, Philipp Lahm, Dani Alves, and Cafu. One of the most challenging soccer positions in the modern game, the fullbacks on either side of the centrebacks have a number of defensive and attacking responsibilities. Their role is increasingly important to the success of the team and it’s no longer enough for them to just defend. While their priority is still to defend, they must now contribute further up the field as well. As a unit with the centrebacks, they must work to limit the opposition’s goalscoring opportunities and the fullbacks must do their best to prevent crosses into the box. They should have good positional awareness and be able to put in good tackles. It helps if they are decent at heading, too. In a back four, the fullbacks slot in on either side of the centrebacks and aim to stop the opponents from passing beyond them and getting in behind. They need to communicate well with their teammates, have good marking skills, and not lose track of their opponent’s movements. If the centreback is ever beaten, then the fullback must come across and support them. Out on the flank, the fullbacks provide their team mates with passing options and angles out wide. They’re also expected to assist in the team’s attacking play by pushing further up the field and attempting to get in behind the opposition’s defence to put in a dangerous cross. This means that they need to be very fit to cover their whole side of the pitch and track back too. Like the rest of their teammates, they also need to be good on the ball so as to keep possession and not lose the ball in dangerous areas. They need to understand when to engage their opponent and when to drop off as well as when to sit back and defend and when to push forward. As you can see it takes a lot of energy and discipline for them to best help out the team. Their off-the-ball movement can help the team create opportunities and in an ideal world they would also be good dribblers. Notable Wingbacks: Marcelo, Roberto Carlos, Kyle Walker, and Marcos Alonso. A more attacking version of a fullback, the wingback is somewhat relieved of their defensive duties by the formation and personnel in the team. Wingbacks are often a feature of teams playing three at the back. 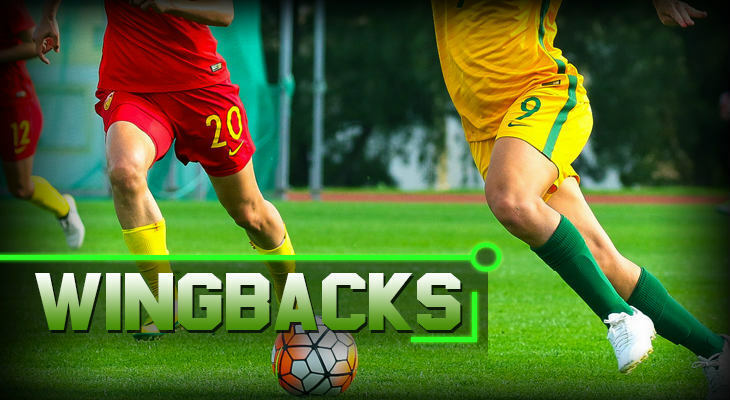 While they are expected to track back and help out the defence, an attacking wingback can revolutionise a team’s attacking prowess. Dribbling at speed at the opponent’s fullback, they can help overload and overwhelm the opposition out wide. Their movement on the flank can create havoc and by staying out wide they help to give the team passing options and angles. It is a physically demanding position as they constantly need to be moving up and down the pitch. This requires great stamina and positional sense to know when to push up and when to drop back. Some teams play more defensive wingbacks out wide while others effectively force more attacking players into the formation. In any line up, however, the wingbacks need to be able to defend well while having the technical skills to hurt the opposition in attack. Sitting between the defence and attack, it is these players who are expected to help their teammates out at the back and up front. They link the team together and their passing abilities help the team to keep possession. On either side of them are the wide midfielders or wingers who give the team creative energy up front. With so many formations to choose from, the midfielders selected go a long way to determining how the team aims to play. 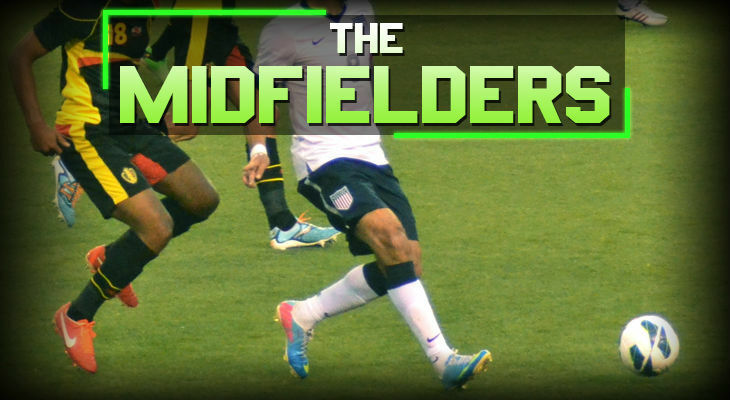 There are many different types of players in the midfield so let’s have a look at what some of the positions entail. Notable Central Midfielders: Xavi Hernandez, Luka Modric, Toni Kroos, and Michel Platini. They help out in attack and support the defence at the back. Great all-rounders, these players are generally very strong technically, are calm in possession, and have a good range of long and short passing skills. They circulate the ball and keep possession within the team with their passing abilities. If playing with two in the centre, they must communicate well together so that one can push up while the other stays behind. There is a great deal of flexibility in terms of personnel who can play in the central midfielder positions and their different capabilities and skills greatly impact how the team is set up. Regardless of the line up and personnel, however, these players need to have good stamina to help the team to win the game. They also need to be disciplined and have good positional awareness while also working well with their teammates to press the opposition and win the ball back. Sometimes known as box-to-box midfielders, this type of central midfielder is generally known for their hard work and stamina. It is their energy that helps upset the opponent’s passing game and disrupts their game plan. Notable Defensive Midfielders: Claude Makelele, Sergio Busquets, Nemanja Matic, and Marco Tardelli. This type of midfielder sits back and protects the defence. In contrast to other types of midfielders who have a license to push forward, it is the defensive midfielder who helps contribute to the team keeping a clean sheet. This player must have great positional awareness and be able to cover their teammates at the back when they are out of position. They also need to be able to sniff out danger and intercept the ball before it gets into the area in front of the box. This requires they have good anticipation skills and be strong in the tackle. By slowing down the opponent’s strikers and closing down their space, this defensive midfielder allows the team to get back in shape. 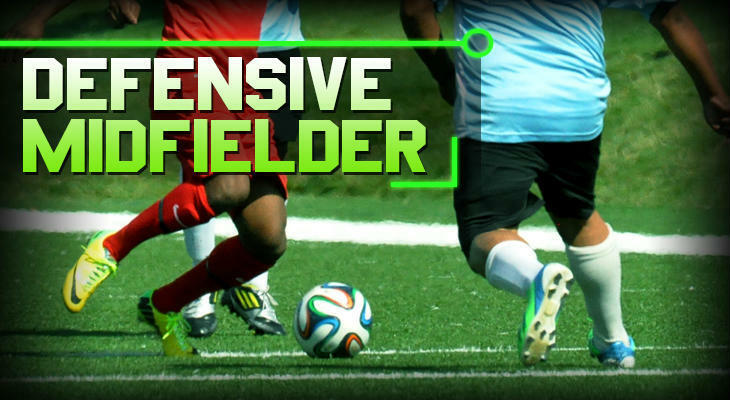 The defensive midfielder mostly attempts safe passes with a high probability of success. 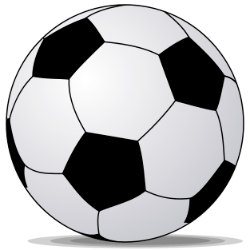 To do otherwise and lose the ball would invite unnecessary pressure onto the team in a dangerous part of the pitch. It is their job to pick the ball up off of the centrebacks and move it forward to the attacking players. Notable Deep-Lying Playmakers: Andrea Pirlo, Xabi Alonso, and Paul Scholes. While occupying a similar space as the defensive midfielder, this player imprints their personality on the game with their vision and incredible range of passing skills. It is up to them to control the tempo of the game and dictate how the game is played. By keeping the ball in the team, this player helps limit the opposition’s attacking game while setting their own team up to attack. Notable Attacking Midfielders: Diego Maradona, Zinedine Zidane, Zico, and Roberto Baggio. The most attack-minded midfielder, this player plays further up the field compared to the other midfielders and has a greater responsibility to chip in with goals and assists. They need to be great on the ball and be able to work in the small spaces that arise between the opposition’s defence and midfield. This requires that they have great ball control and technical skills. It is their vision and creativity which can unlock even the most organised defences and they should always be looking to slip the striker in behind the opposition’s centrebacks or create space for their team mates. When the ball is out wide, the attacking midfielder should look to get into the box to support the team’s strikers. They should have a good shot on them and an eye for goal. 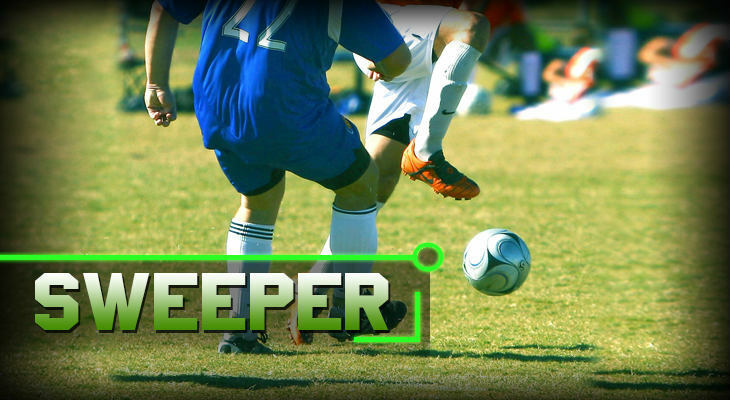 Often allowed a great deal of freedom in terms of where they end up, this player’s movement can create havoc for their opponents as they pop up in dangerous pockets of space. This makes it incredibly hard for them to be marked. On top of this, they normally have good dribbling skills which also makes them a threat. This central attacking midfielder often operates closest to the striker in the team and is sometimes known as the playmaker. In contrast to the deep-lying playmaker who impacts the play from deep, their role is to pull the strings in the final third of the pitch, nearest to the opposition’s goal. Notable Wingers: Cristiano Ronaldo, Ronaldinho, Lionel Messi, and Megan Rapinoe. While traditionally they were only expected to attack, the modern game dictates that these players now help out in defence when needed. This means they need to have great stamina and discipline as the fullback behind them risks being overwhelmed if they don’t track back. Playing out wide on the flank, these players terrorise the opposition’s fullbacks with their speed, trickery, and creativeness. Wide midfielders are slightly less attack-minded than wingers who are essentially attacking midfielders stationed out wide. But both types of player need to provide the team with width and passing options out wide. They should constantly be looking to run at the opposition’s fullback and dribble past them or put a cross into the box. Consequently, they should have quick footwork skills and a good cross on them. With their technical skills and pace, these wide players should constantly be looking to attack the opponent’s defence. While many wingers prefer to stay out wide and get in behind their fullback, others act as an inverted winger and come inside to slip the striker through or take a shot themselves. Their off-the-ball movement can cause the opposition’s defence to fall into disarray and they should aim to create space for themselves and teammates by making runs into dangerous areas. When the opposite winger or wide midfielder puts a cross into the box, they should try and get the run on their fullback at the far post and nip in ahead to hopefully get on the end of it. These players are also expected to help out with the creative side of the team’s game plan and contribute goals and assists. Responsible for the main bulk of the team’s goals, it is the strikers who should be looking to put the ball in the back of the net each and every game. Strikers mainly operate in the final third of the pitch and it is around the opposition’s box that they have the most impact on the game. 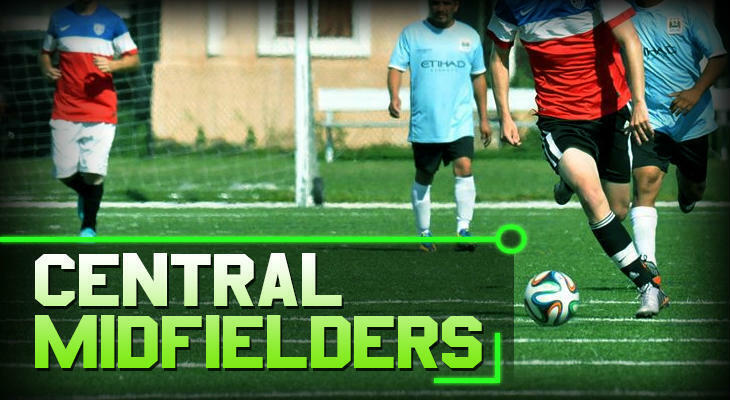 Similar to the midfielders, the type of striker and their individual capabilities and specialities varies greatly. This helps managers to mix up their team’s attacking display and output depending on the personnel they have available to them and how they decide to line up. Depending on the formation selected, various positions which we have already seen may be pushed further upfield to join the forward line in the team. The wingers, for example, may be moved further forward to act as wide forwards or the attacking midfielder may act as a support striker. Notable Central Forwards: Pele, Ronaldo, Gabriel Batistuta, and Zlatan Ibrahimovic. While the goalkeeper’s primary objective is to keep a clean sheet, the centre forward’s main objective is to get on the score sheet. While it certainly is important, centre forwards have a number of responsibilities that impact whether the team wins or loses. With the centrebacks breathing down their necks, the centre forwards need to be tough to hold up the ball and bring their teammates into play. They also need to be able to shield the ball with their body and have good passing skills to make sure the ball stays within the team. If the centreback comes too tight, then the centre forward can spin in behind them and look to get on the end of a pass. This requires that they have good movement so that they can evade the marking of the opposition’s centrebacks and create space for themselves. Anticipation is key in this position as they need to strive to get in front of the defenders and get on the end of crosses into the box or get a shot off at goal. This requires they have a good shot and also be strong in the air which is true for any type of player selected up front. Ultimately, it is their finishing abilities and shooting accuracy that often determine the outcome of the match. If a big target man is playing in attack, the team can reasonably expect them to hold up the ball in the opposition’s half. This helps out the team at the back as they can bypass the midfield and hit it long to the centre forward if necessary. This kind of player is typically aggressive and brave and is up for a physical battle with the opponent’s centrebacks. This type of player should aim to use their speed and movement to draw the opposition’s defenders out of position and open up gaps for their team mates to exploit. While teams play high crosses into the box when they have a tall striker with a good heading ability, this type of striker thrives off of lower crosses. While the rest of the outfield positions have a certain degree of defensive responsibility, strikers are only really expected to help out the defence when the opposition have a corner. They can also help the team defend from the front by putting pressure on the opponent’s centrebacks and screening passes into the midfield. Notable False 9s: Francesco Totti, Roberto Firmino, and Lionel Messi. Teams lining up with a false 9 usually have three players up front with two wide forwards on either side of this specialised position. The false 9 is more like an attacking midfielder or advanced playmaker in this respect and they have a lot of license to drop deep and bring the wide forwards into play. It is their movement, intelligence, and vision that is key to this system working and it needs a special player to make it a success. 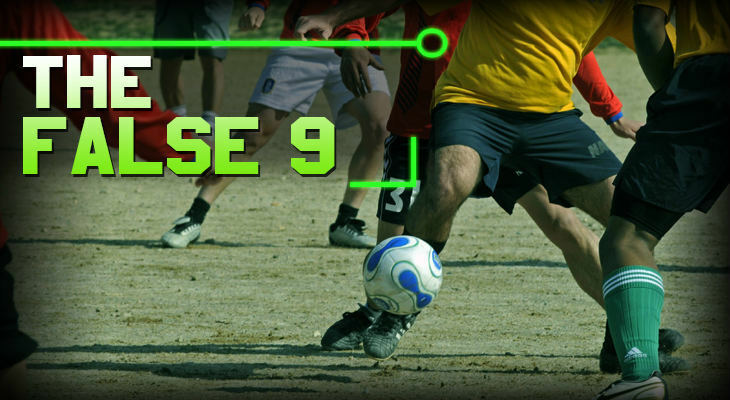 By dropping off deep, the false 9 creates space in behind them for attacking midfielders or wide forwards to push up into. As well as having good movement, they need to be great on the ball and be adept at dribbling out of tricky situations. 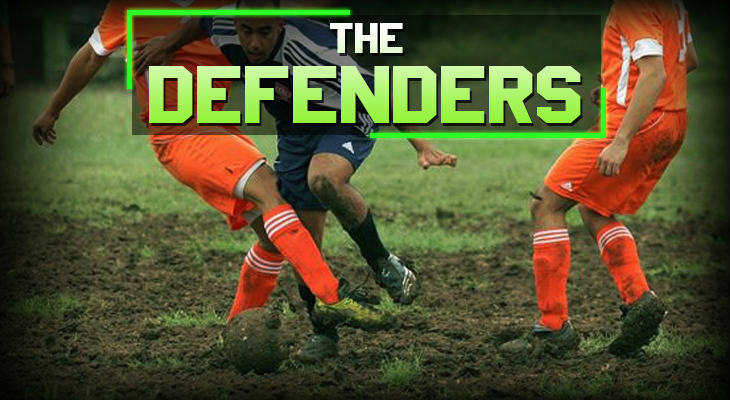 It is their creativity and vision that helps unlock the opponent’s defence. The false 9 is still responsible for a lot of the team’s goals. This burden, though, is shared more equally among the attacking players than in a team that creates most of the goalscoring opportunities for the striker. Consequently, they need to make late runs into the box and have an accurate and powerful shot. This specialised and unusual position understandably creates problems for the opposition’s centrebacks who struggle to know who to pick up and how far to push forward in pursuit of the false 9. This helps confuse the opponents and create chaos amongst their defence which helps to create space for the attacking team. The beauty of the game is that there are many formations and soccer positions and they’re all constantly evolving. The potential variations within each game are astounding and it is amazing to think of the flexibility that each team has when it comes to their line up. Whether it is selecting a deep-lying playmaker or a false 9 to impact the play, regardless of formation the players need to be disciplined and hardworking to stand the best chance of success. With the modern game constantly throwing up new positions and playing styles, now more than ever players need to be athletic and adaptable all-rounders.